We are very happy that we could make our own kitty nowadays. We just love this cute kitty without mouth, don't you? It's amazing to see how the fictional character created by Yuko Shimizu and produced by Sanrio speaks a lot about friendship, sharing and caring to people at all ages around the world through the character. Apparently the hello kitty story fascinating everyone around the world. I remember there was a time in Singapore when people queue for hours and hours at McDonalds to grab the figurines. Some people says that the Hello Kitty name is a back-translation of Maneki Neko. 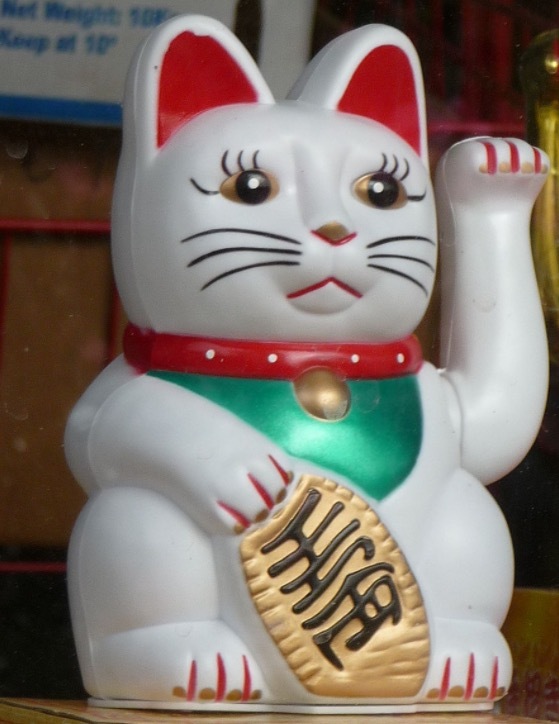 Maneki-Neko (a cat with waving hand) in Japan believed could bring good luck to anyone who own or display this figurine in front of their shopfront or business place. I couldn't understand the relation between the kitty and the Maneki Neko. Look at its mouth. Hello Kitty character doesn't have mouth! Sanrio, the Japanese company who produced the character explained that the lack of the mouth allows her to speak from the heart, letting people project their feeling to the character and she wasn't bound to any particular language which make the kitty a symbol of friendship between people around the world. Alright! let's make the kitty. 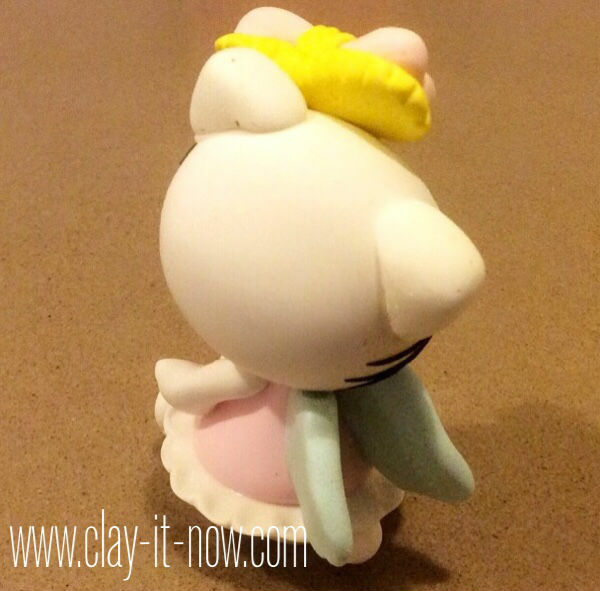 First of all your need the clay of course :) I used store bought air dry clay. 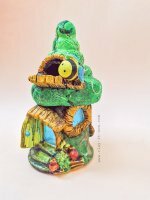 Please check out our page about " what clay to buy" if you are new to clay craft. 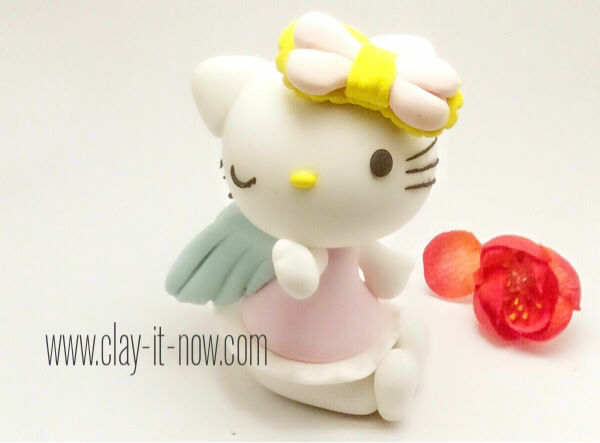 You can also make this figurine with homemade clay. 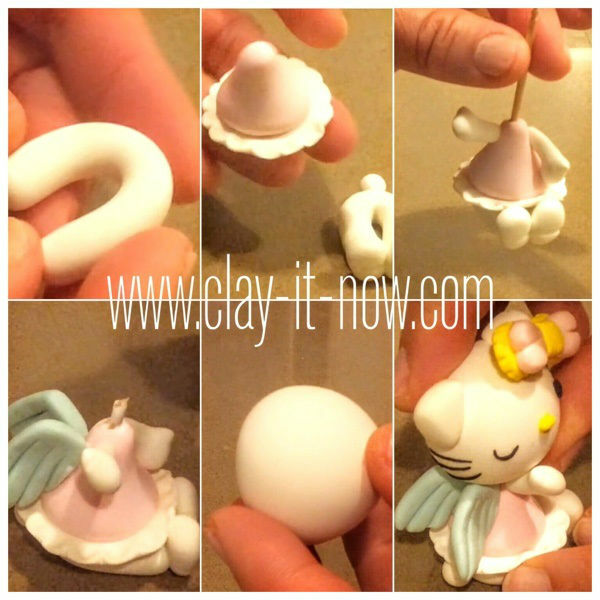 For this figurine, prepare 5 colours of clay: white, pink, light blue, yellow, and black. Let's start with the legs and shoes. 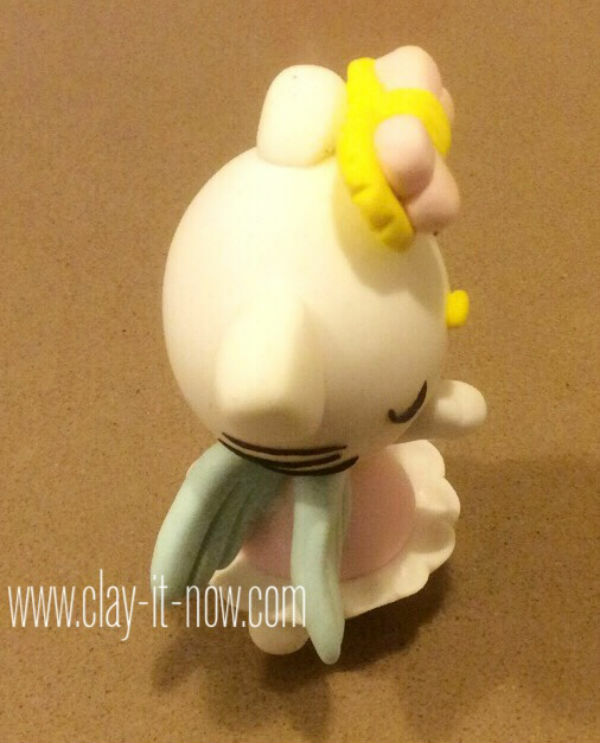 Knead your white clay well and roll it to pipe shape about 5 cm or 2 inches long. Bend the pipe to a U-shape. Leave this for a while until it's hard enough to stay on its shape when you touch or lift it up. Next, make the shoes and paste it to both end of the U-shape. Make a small cone shape with your pink clay. Then, roll white clay to a ball shape, flatten it and make a frill. Paste this white part to the bottom of the pink cone. Start with teardrop shapes and round the top part and press it a little bit at the corner to make the thumb. We use light blue clay for the wings. Start with a white ball clay shape and press a little bit to make it slightly oval. Leave this in room temperature until it's dry. After that, make the ears, ribbon and finish the facial elements. We would recommend you to check our video tutorial if you want to see our steps in more details. 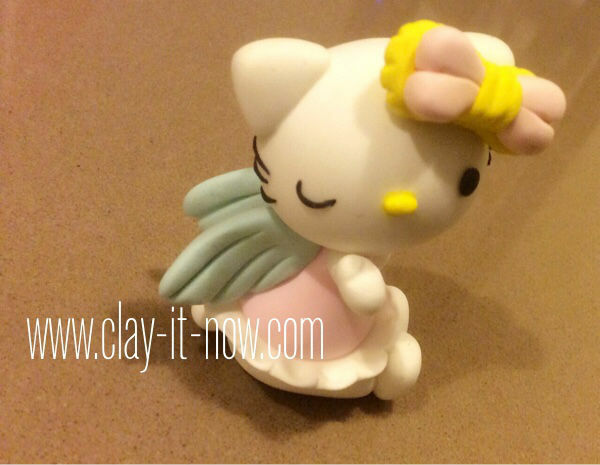 And, here is our hello kitty figurine pictures from different angles.